Boxes full of dried grapes for Amrone waiting to be squeezed. Due to the early harvest caused by the exceptionally hot Summer 2011, and to the also exceptionally warm and dry October, after only two months of drying, Amarone and Recioto grapes are now ready to be squeezed and fermented. Of course this is not a decision that a winery can take on its own. According to the strict DOCG regulations, it is the Valpolicella Consortium that sets the minimum requirements for any step in the process of Amarone wine making. And this happens also for those parameters that are subject to variations such as harvest, drying, etc. A wine maker then can decide to dry grapes longer, but not shorter. 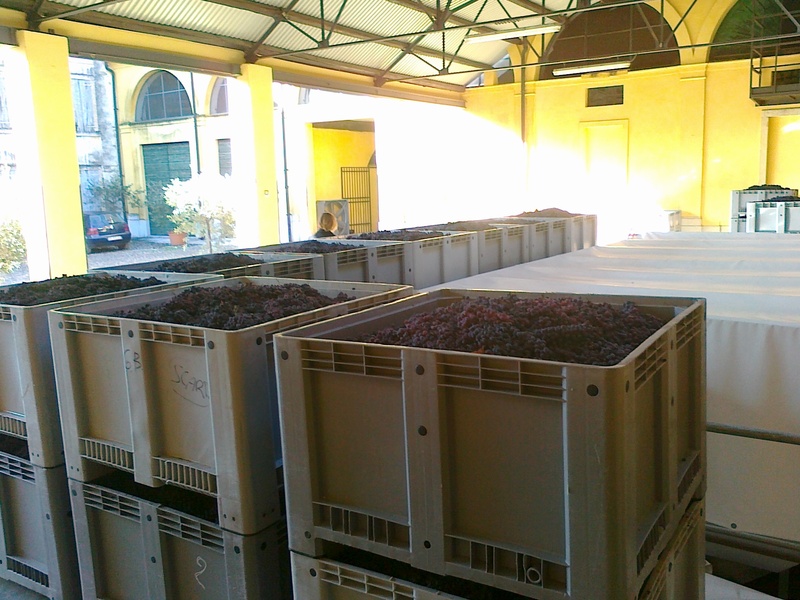 For 2011 vintage, the Valpolicella Consortium allowed to squeeze grapes for Amarone from November 15th.